When you schedule your appointment online for the Bleed Red Blood Drive you will score an extra entry for the prize drawings. Double your chances to win by signing up now! 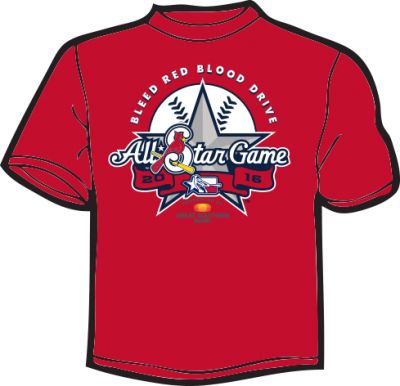 Participants during the Bleed Red Blood Drive will score some great free stuff! Hot dogs (starting at 11 am), chips and ice-cold Coca-Cola at the drive! Participants at the drive will be automatically registered to win autographed Cardinals gear, upgraded ticket packages, other great prizes. You may even win the chance to throw out the first pitch at a Cardinals game! Area patients depend on the blood this event provides every summer and donors will enjoy the great rewards they get and the fun atmosphere during the drive. See you at the blood drive!